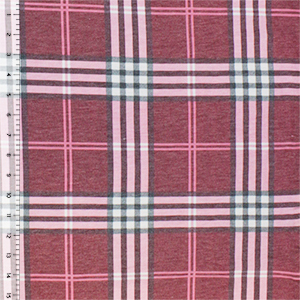 Modern colors of heather pinks and gray preppy plaid design cotton jersey rayon blend knit. 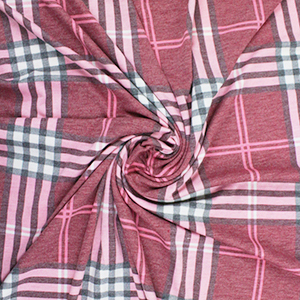 Fabric is light to mid weight with a smooth top hand and small stretch. See image for scale. 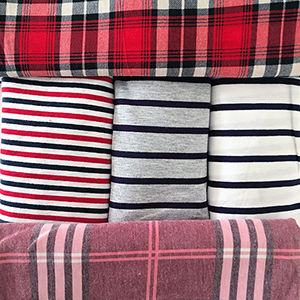 Versatile fabric and great for many different applications!